Meet Lech Majewski – as part of the 6th International Festival of Independent Cinema Off Plus Camera. 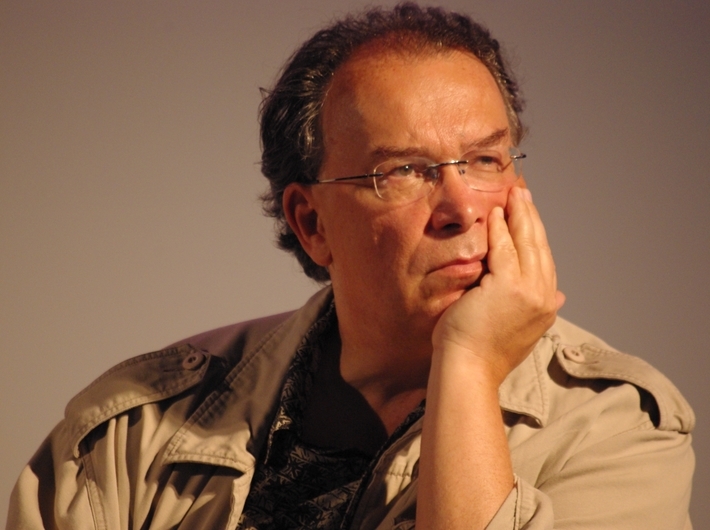 Lech Majewski, the Chair of the 2013 Jury of the Main Competition of Off Plus Camera, is a versatile artist who combines fluently a number of media; he is a film and theatrical director, painter, composer and writer, his works including Wojaczek, The Mill and the Cross and The Garden of Earthly Delights. Majewski’s films are shown at the most important film festivals as well as in the museums of contemporary art in New York and Paris. Lech Majewski is an inspiring and charismatic artist – his work is a must to explore. Thanks to the project Off Plus Camera in Your City, it will be possible to view the discussion with the artist not only in MOCAK and not even only in Krakow. Eleven towns in the Małopolska region have been invited to take part in the project: Bochnia, Brzeszcze, Chrzanów, Dąbrowa Tarnowska, Kęty, Krynica-Zdrój, Limanowa, Oświęcim, Trzebinia, Tuchów and Wadowice. All the cinemas that are taking part in the project (in Krakow: Kijów Centrum and Mikro) are part of the Małopolska Network of Digital Cinemas.